The Games Institute (GI) is a multidisciplinary research centre at the University of Waterloo focused on the study of games, gamification, interactive technologies and immersive environments (AR/VR). Weekly critical essays, commentaries, and book reviews on games. A thrice-annual, multi-day event hosted by The Games Institute (GI). Each of the events are open to the public and are designed to appeal to a wide variety of playful people. Every Tuesday and Thursday from 6pm-9pm at the GI. This is your opportunity to meet and collaborate with local game developers in a casual atmosphere. Show off your latest projects, receive valuable play-testing feedback from like-minded peers, learn new tools and techniques, and network with potential collaborators. The future of games will rely on new technologies and new ways of interacting with those technologies, but it will also rely heavily on psychological and sociological understandings of what we do when we play, on stories and narratives that reach far beyond what today’s games offer, and on extensive work in a wide range of fields, from health to education, into how games can guide us, change us, and help us. GI member John Harris won third place, with a $5,000 grant, at the Velocity Graduate Student Fund finals for his pitch to develop his enterprise, The Playful Pixel. Harris is a PhD student in Computer Science studying asymmetric games as a means of promoting inclusiveness and getting more kinds of people playing together. Apr. 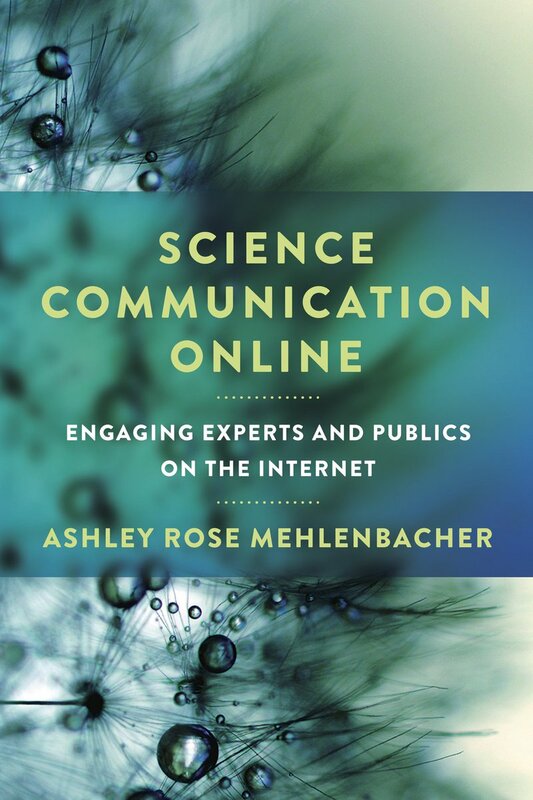 4, 2019Ashley Mehlenbacher's new book: "Science Communication Online"
Ashley Rose Mehlenbacher, Assistant Professor in Rhetorical Studies at the University of Waterloo has authored a new book titled, "Science Communication Online: Engaging Experts and Publics on the Internet". The book is available in hardcover and paperback from major retailers and The Ohio State UP, and is also freely available online through an open access license. "Science Communication Online" explores the interactions between scientific experts and the general public in the new age of the Internet. The book discusses the themes of genre studies and rhetorical criticism, crowdfunding for research funding, databases for knowledge production, and blogging for scientific engagement. Watch the early assess trailer for March 2019 game Terrorarium by Stitch Media, a media development company based in Toronto. Games Institute members Adam Bradley, Michael Hancock, and Judy Ehrentraut collaborated with Stitch Media on Terrorarium through Mitacs partnerships. Asymmetric cooperative games---games that present their players with sharply contrasting aesthetic experiences in the same shared play space---are well-positioned to tackle the multi-faceted problem of bridging preference and ability boundaries among members of preexisting social circles, and supporting the development of enriching social capital. The Games Insititute (GI) Game Jam takes place every term. But, once a year, the event becomes a part of something larger: every Winter, the GI Game Jam becomes a satelite event for the internationally renowned Global Game Jam. Fall 2018, Graduate Studies and Postdoctoral Affairs launched the first ever GRADflix competition. Graduate students were invited to create a 60-second video, moving slide show, or animation about their research. Entries were judged based on communication, creativity and visual impact, and technical quality. Several members of the Games Institute and the UW Touchlab participated in the 13th annual ACM International Conference on Interactive Surfaces & Spaces (ISS) in Tokyo, Japan from November 25-28, 2018. The research they presented ranged from work on multi-touch surfaces and interactive 3D spaces to optimizing how health care providers collect feedback from patients. Subscribe to our Events Mailing List to hear about all of the exciting things happening at the Games Institute! Subscribe to our Research Participants Mailing List to hear about opportunities to be a study participant in the work done by The Games Institute researchers! Edith Law is an Assistant Professor at the David R. Cheriton School of Computer Science at the University of Waterloo. Her research focuses on interaction techniques and incentive mechanisms for volunteer-based human computation systems, and how these systems can address problems in Science and Public Health. She is also part of the Human Computer Interaction Lab.